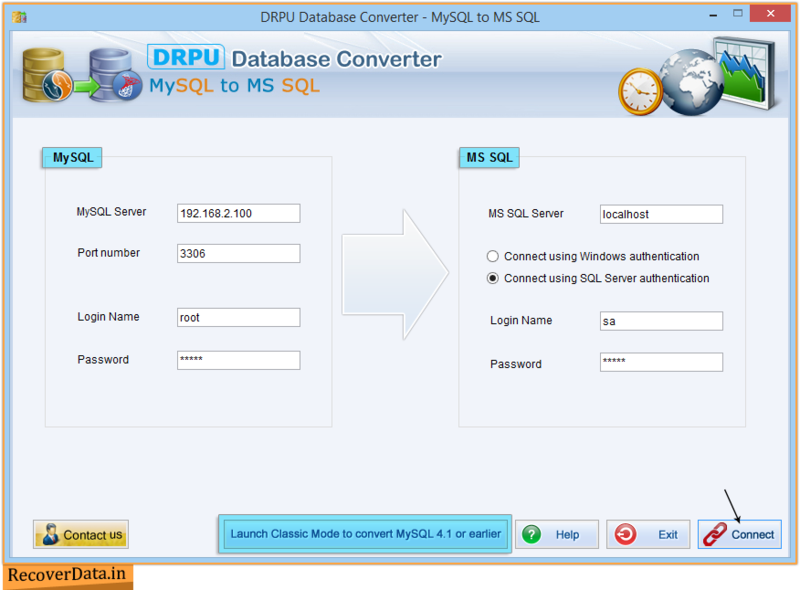 Establish connection with MySQL and MS SQL server remotely or locally using SQL server authentication or Windows authentication. 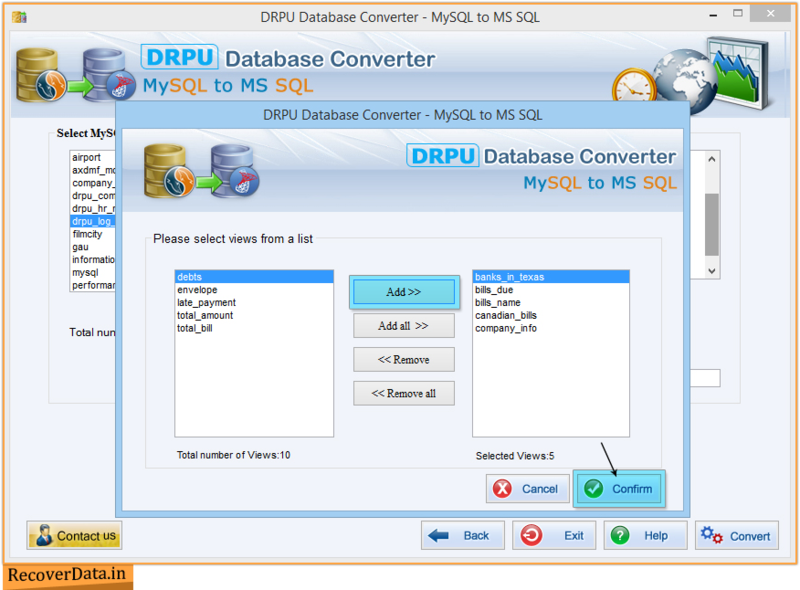 You can see Launch Classic Mode to convert MySQL 4.1 or earlier version button at the bottom of the screen, go through this if you want to convert 4.1 or earlier version of MYSQL. 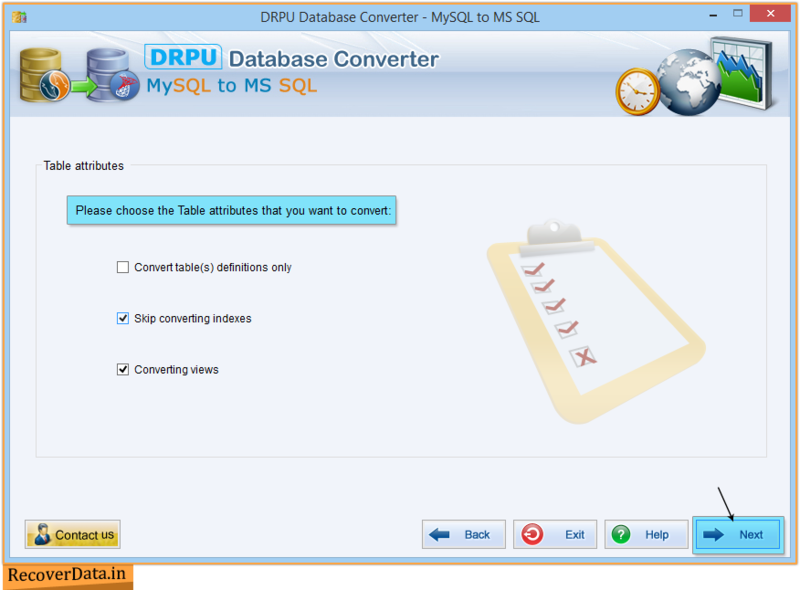 Choose any table attributes including convert table(s) definitions only, skip converting indexes and converting views option to continue. 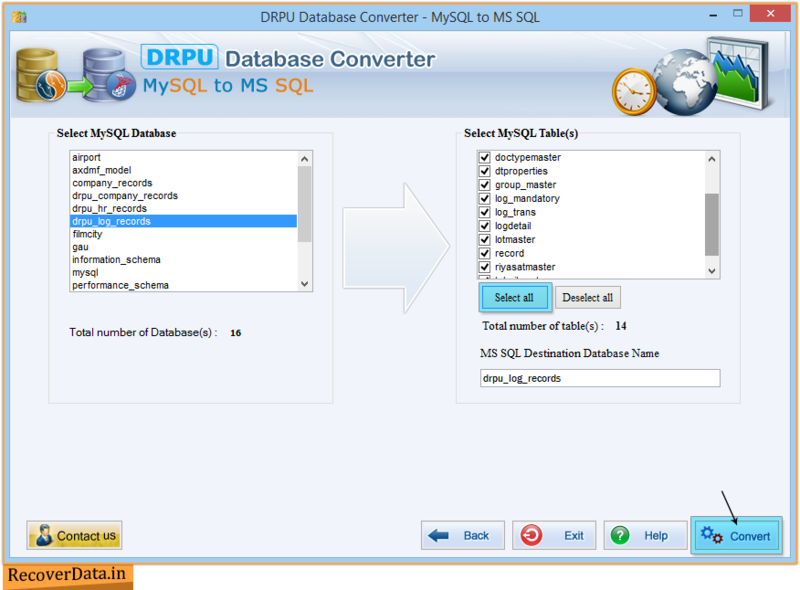 Choose any MySQL database to convert into MS SQL database format. Select views from list which you want to convert and then click on 'Confirm' button. 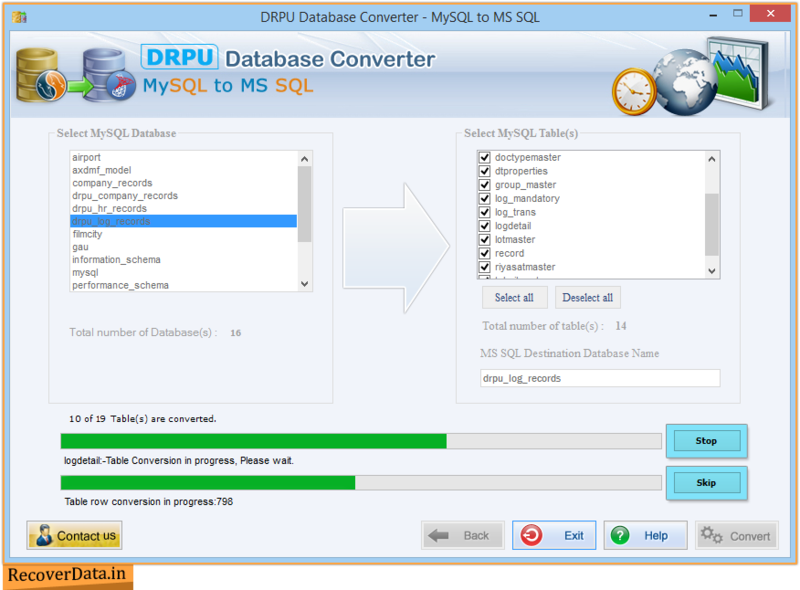 Above screen shows the progress of Database conversion process, please wait while converting MySQL Database to MS SQL Database. 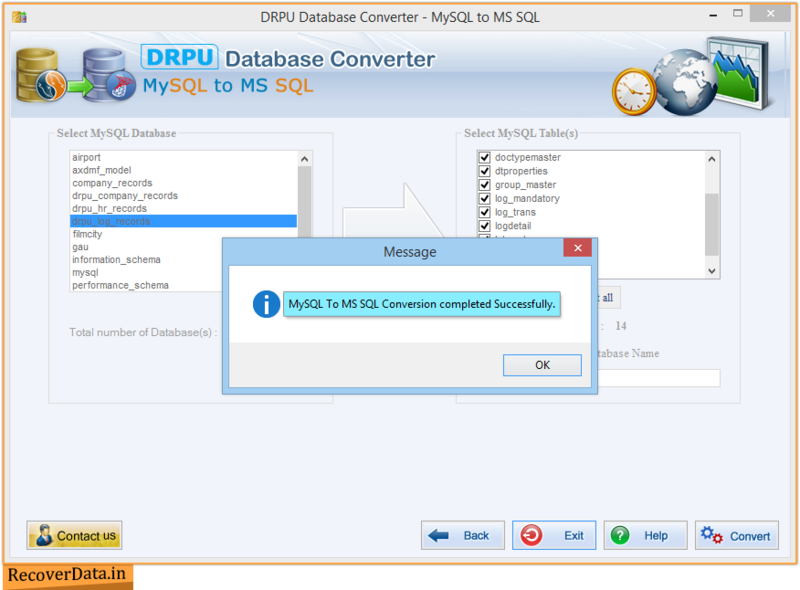 After completing database conversion process, the following confirmation message MySQL To MS SQL conversion completed successfully window will be displayed.